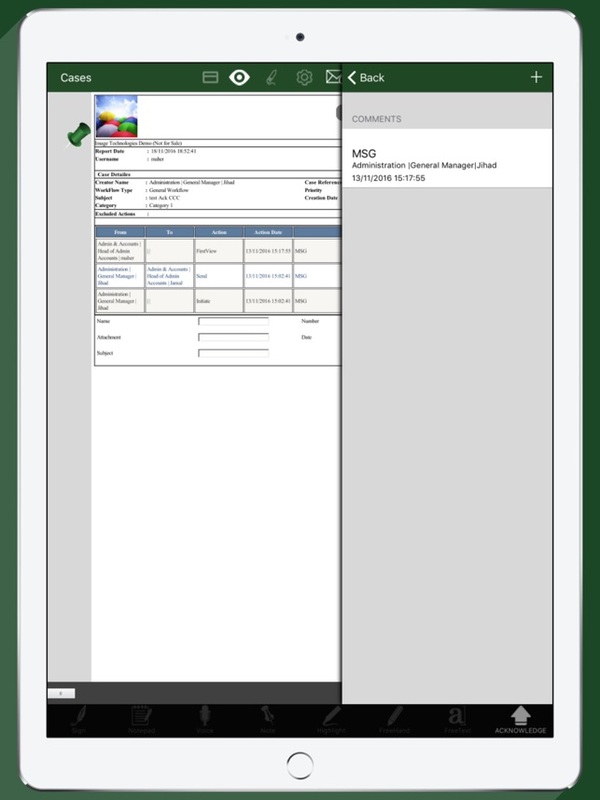 Adding “iApproval for docuTRAK” iPad application to the docuTRAK platform now provides executives with an iPad access channel to their correspondence documents: Review, sign and dispatch back to system or office..
*** In-house docuTRAK System is required *** . iApproval for docuTRAK is a next-generation creative and innovative application that provides an immensely intuitive approach for government officials and corporate executives to review and approve their correspondence while out of office. It defines a new paradigm in how iPad devices are used in every day productivity application taking its user to unprecedented productivity frontiers. iApproval for docuTRAK leverages the multi-touch capability of iPad, a major step towards a natural user interface, diminishing much of the learning curve and drastically increasing usability. Users of iApproval for docuTRAK can finger-flip pages of correspondence and its supporting material, and intuitively embed markup notes, comments, recipient list & action instructions to their office managers (or sender). Supporting material can be anything from office documents to videos and audio material. 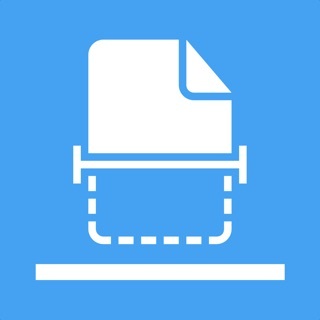 Leveraging the intuitiveness of iPad, iApproval for docuTRAK creatively provides markup tools that include: Voice notes, sticky notes, highlight, free-hand, text-pads, and much more. 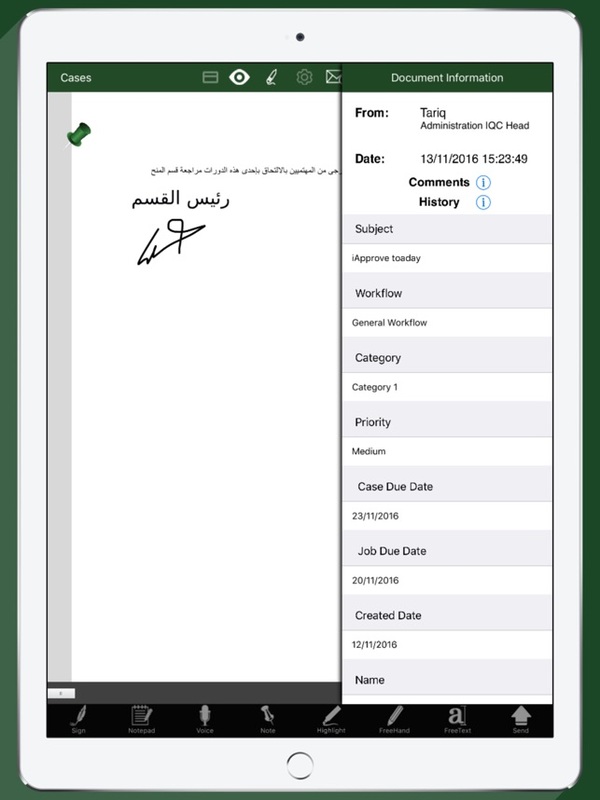 An ingenious High-Definition signature pad makes it possible for iApproval for docuTRAK users to effectively sign or initial documents using a specially designed pen or just directly with their fingers while cleverly controlling where and how the signature appears on the document. The user can also send and receive text messages from and to his office. 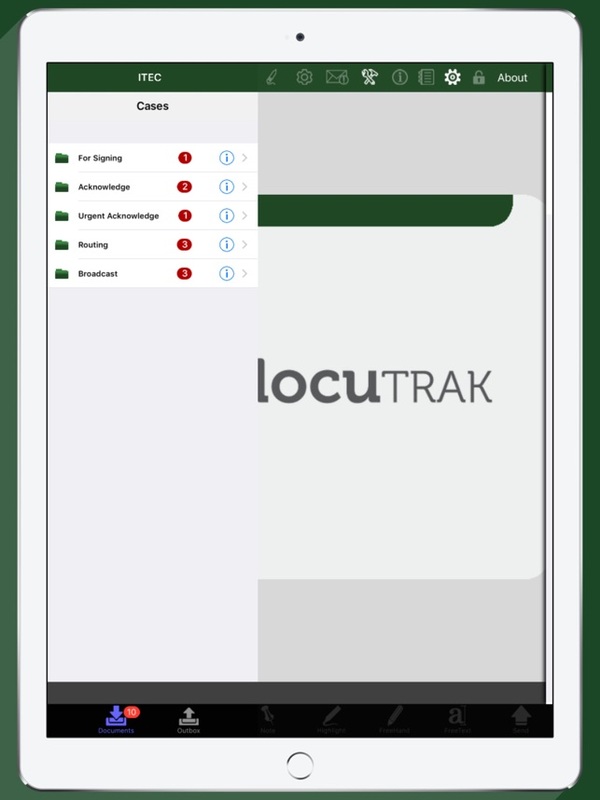 Adding iApproval for docuTRAK now provides docuTRAK executive users with a Mobile access channel to their correspondence documents: Review, sign and dispatch back to system or office. 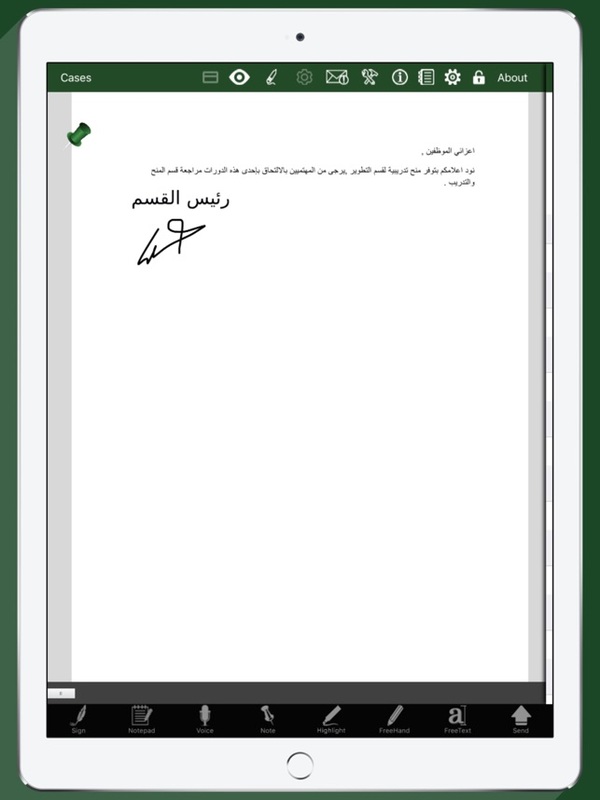 -Fixes on Digital Signature Process.